In 2014 the theme of sustainability, relevance and adaptability will be thoroughly explored in our speaker program. 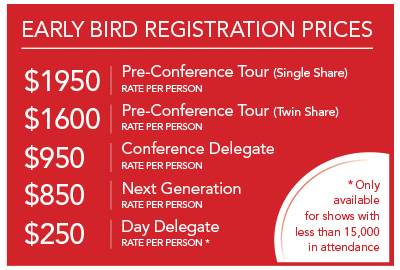 Guests will also be able to tailor their own personal conference schedules and choose from three different conference streams including agricultural, strategic and operational. If you are interested in seeing more of our beautiful country post conference let our travel agent suggest some options.